1960, NASA launches Echo 1A, the world’s first communications satellite. Essentially a metal balloon, it is used to bounce signals from one ground station to another. 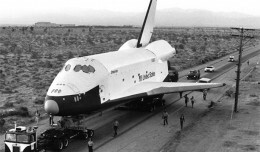 1977, Space Shuttle Enterprise makes its first atmospheric test flight. 1985, Japan Air Lines Flight 123, a 747-100SR flying from Tokyo to Osaka, crashes into Mount Takamagahara in Japan following an explosion of the rear bulkhead, which tears off the vertical stabilizer and knocks out all four of the aircraft’s hydraulic systems. All 520 on board are killed, and it remains the deadliest single-aircraft crash in history. It is believed a tailstrike eight years earlier caused the damage which led to the accident. 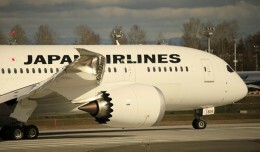 A new codeshare with Japan Airlines will allow JetBlue customers to book flights on the new Boeing 787 Dreamliner, and Japan Airlines customers to connect to over a dozen US cities on JetBlue. 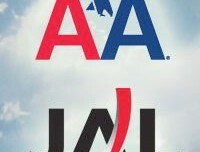 American Airlines and Japan Airlines will begin their previously announced trans-Pacific revenue sharing venture on April 1st, the companies announced in Tokyo Tuesday morning. Boeing has told several of its customers, including ANA, Korean and Air India, that deliveries of the 787 Dreamliner will suffer new delays of at least another 10 months.